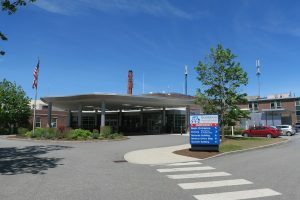 Chief of Nursing Jody Stack said the ICU was phased out in 2016, at which time patients in need of this level of care were transported to other regional hospitals, chiefly Dartmouth-Hitchcock, Cheshire Medical, and Bay State Medical in Springfield, Massachusetts. With regard to the difference between an ICU and a PCU, Pattison explained that an ICU is required to have dedicated nursing staff who only care for ICU patients, whereas with a PCU, any hospital nursing staff can care for a patient in that unit. In addition, ICU nurses are required to have special training to provide care to critically ill patients. PCU staff do not require this training to work with the patients in the PCU. When asked how much cost was a factor, Stack said that there was a savings associated with closing the ICU given the level of training required of ICU nurses, the cost of retaining them, and the additional cost of using “contract nurses” when staff nurses weren’t unavailable. Hospital cost-cutting has been ongoing in southern Vermont. Springfield Hospital recently announced the closure of its birthing unit, sending patients in need of those services to BMH, among other hospitals. For the time being at least, BMH plans to keep its birthing unit open. BMH has had its troubles with cost as well, and after a profitable 2015, lost around $2 million a year in the last two fiscals. As Dartmouth-Hitchcock and Cheshire Medical pick up more services from BMH, the possibility of a merger, first reported in 2018, becomes more plausible. Stack was not asked to comment on these issues, but says that regardless of where patients are treated, they will be well cared for. When I was little, I thought of hospitals more like schools or grocery stores. I assumed every town had one, and they all had doctors and nurses, and each hospital could do anything any other hospital could do. It seems like the trend (a bit like schools) is to get away from small and local to be more regional. In both cases, it seems to be because of money. Dropping the ICU in favor of the PCU “has not affected patient care”… ? Logically, that would imply that having an ICU doesn’t affect patient care, either. It would seem it doesn’t matter which you have, then? If so, what is the difference?